Just like the past few years, I’m trying again to watch all the Oscar nominated movies. I’m pretty sure I’ll get all the Best Picture nominations done, but it’s always quite the challenge to watch as many movies I can from all the other categories. I always end up failing on the Best Foreign and Best Documentary categories, but even if I don’t succeed I like the push it gives me during January and February to watch as many movies as I can. So far I’ve watched 6 of the 9 Best Picture nominations and today I’ll do short reviews for the first three of those. 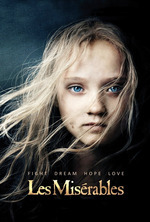 I’ve been excited for Les Miserables ever since I heard Tom Hooper would be directing and Hugh Jackman and Anne Hathaway were cast. I loved Jackman’s and Hathaway’s duet during the 2008 Oscars and I’ve been hoping they’d do a musical together ever since. I never got around to watching the actual stage musical of Les Miserables (I still need to go), but I know and love a lot of the songs. I ended up loving the movie. I liked how the actors were recorded closeup actually singing on set rather than in a studio, allowing for a much more powerful performance. Hugh Jackman is great as Jean Valjean; it’s awesome to finally see him in a musical role, his voice was perfect for Who Am I? and some of the other songs. Anne Hathaway’s rendition of I Dreamed A Dream is amazing. It’s so full of emotion, you can see her going from hope to despair all in one single take. The rest of the cast is equally awesome. Despite what others have said, I quite liked Russell Crowe as Javert. I wasn’t that familiar with his songs though, but I’m guessing if you do know those songs, his versions won’t match up with them. Eddie Redmayne and Amanda Seyfried are sweet as the young lovers Marius and Cosette, while Sacha Baron Cohen and Helena Bonham Carter are great as the comic relief. I wasn’t expecting to like Life of Pi as much as I did. I had seen the trailers and was expecting it to be a pretty movie, but not much more. I loved it though. The gorgeous visuals and cinematography complements the beautiful story and I think it might be my favourite movie of last year. 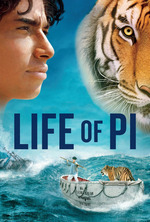 If you don’t know what it’s about, Life of Pi tells the story of Pi and how after a shipwreck he gets stranded on a life boat with a Bengal tiger called Richard Parker. It’s a story of survival, hope and strength. I loved seeing the relationship between Pi and Richard Parker unfold, and I wonder how much being a cat owner helped with that (I constantly noticed bits in Richard Parker that my own cats will do… although my cats won’t be able to take me out with one swipe). Real tigers and visual effects were combined to create Richard Parker, but you never quite know which of the two you’re looking at; it blends beautifully. 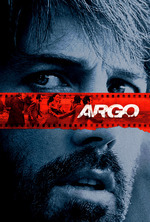 Argo is based on the real life story of the 1980 secret operation to extract six U.S. diplomats from Tehran during the Iran hostage crisis. The film stars Ben Affleck as Tony Mendez, a CIA specialist, who comes up with a fake scifi movie to use a cover story for the extraction. I wasn’t that impressed by Argo. It’s an interesting story, but I was expecting more suspense and more cleverness somehow. I know it’s based on a real story and they couldn’t embellish it too much, but I never got invested in any of the characters allowing me to root fully for them.